This is a live recording performed by Ros Dunlop (bass clarinet, for whom the piece was written) of a multichannel spatial electro-acoustic work, in the Bon Marche Studio 'diffuse' series at UTS in 2011. [Live in concert, electroacoustic mix, stereo bounce, normalised]. Ros Dunlop also performed this work at the Single Reed Convention, Melbourne 2011. The electronic part is an adaptation and transformation of many recorded sounds sourced from the performer, such as bass clarinet timbre trills, multiphonics, slap--tongue percussion sounds and veiled 'velato' figures. The title Prism, refers to diffusion, diffraction, refraction, spectrum, and the revealing of the inner world of the bass clarinet. 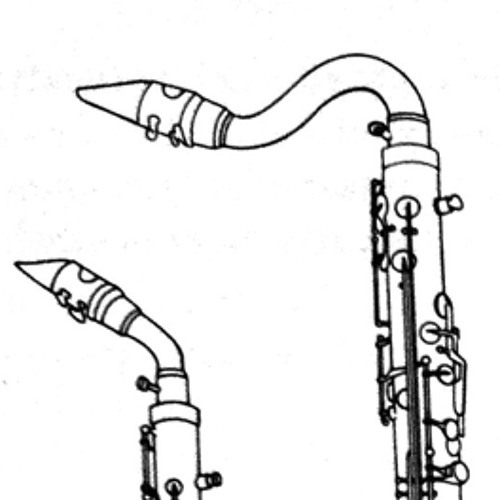 Recorded bass clarinet sounds played by the performer were used in the generation and interpolation of the electronic recorded part. Prism widens the image of the acoustic bass clarinet physically (through the spatial image), spectrally by broadening the gamut of audible sounds, timbre and frequency range, achieved through time-stretch and transposition treatments, and synthetic processing of the recorded bass clarinet. Thus we hear bass clarinet sounds that were previously hidden. The spatial treatment serves to augment the performer in ways not humanly possible, creating at times, through sampled clarinet at the polar extremes of the stereo image, antiphony and polyphony between the live performer and the mirrors/refractions of her sound. The live performer is the focal point, scrutinised by the musical microscope, but also burst open. The non-clarinet sounds utilise two spatio-musical approaches to gesture: locality – static, directional sounds identified by a distinct point in space; and movement – heard in the sweeping motion of sounds that dynamically move through the space. Spatial location and movement are seen as extensions of the performer’s gestural vectors. Thus mirrors or multiples (untreated clarinet sounds) are fixed at ‘points’ in space, like other personalities, while sounds characterised by distinctive timbre and register move and morph around the performer.